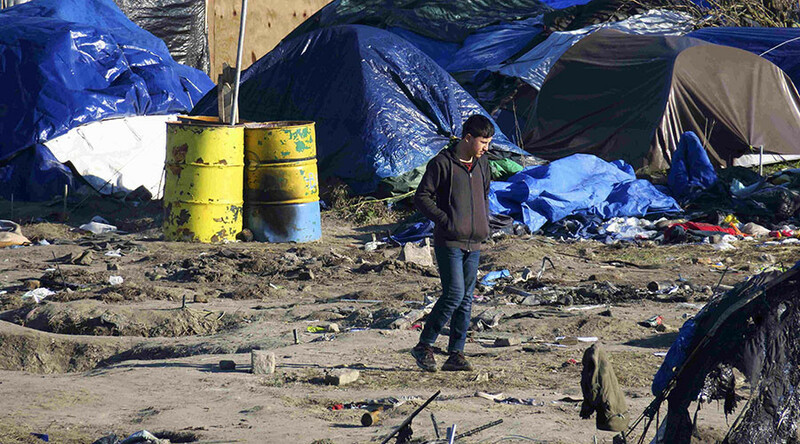 Four children who are living in Calais refugee camps but are desperate to be reunited with family in Britain will have their case heard in court on Monday, it has emerged. As French authorities demolish parts of refugee camps in northern France, four refugees, who cannot be named for legal reasons, continue their long-running fight to be granted access to Britain to join relatives. Among the group of teenagers is a Syrian boy who is “traumatized” by his experiences of war, according to his brother already living in London. The children’s asylum case will be heard by a Presidential Panel at Field House in London on Monday. Campaign group Citizens UK hopes the case will pave the way for more young refugees who are trying to be brought to safety in Britain. "We hope that the outcome of this hearing will be positive, and allow for other children and young people to gain safe entry to the UK,” said George Gabriel from Citizens UK, as reported by the Press Association. "That's the only way to bring order to chaos, stop people risking their lives and put the traffickers out of business." Thousands of migrants, predominately from the Middle East and Africa, are camping in squalid conditions in Calais while trying to cross into Britain. Since June, 15 people have died trying to access the Eurotunnel. In recent weeks, a 15-year-old boy from Afghanistan was found dead in the back of a lorry travelling between Dunkirk and Britain. It is believed he was trying to get to his sister in the UK. Shortly after Monday’s case begins, a memorial service will be held for those who have died making the journey to the UK. The Bishop of Barking, the Right Reverend Peter Hill, praised the UK government for its efforts to support refugees, but added that young refugees “have the right” to be reunited with family members. "Our government and the British people have been incredibly generous, giving huge amounts in aid to support the refugee camps surrounding Syria, but these young people have the legal right to be with their families in Britain,” he said. "This isn't about an open-door immigration policy, it's about helping the youngest and most vulnerable to safely join their loved ones." Last week, French authorities announced that a third of the so-called Calais Jungle camp, home to nearly 2,000 refugees, will be destroyed. However, those living in the area will be moved to purpose-built housing. Both refugees and volunteers are worried that Jungle residents will be left without shelter. Riot police entered the camp on Monday morning to assist with the demolition of the camp, where French authorities are set to bulldoze a 330ft 'buffer zone' between the camp and the adjacent motorway. Mohammed Adam, a doctor from Sudan who lives in the camp, said French authorities haven’t given Jungle residents time to prepare to move. “A particular concern is the large number of women and children," they said in a statement.